We would like to recognize the Chicagoland companies and organizations that have expressed their support for our mission to preserve the traditional culture that makes Chicago foods, sports, music, and events great. 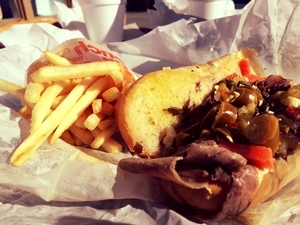 Interested in becoming a sponsor of ChicagoItalianBeef.com? Send us an email at info@chicagoitalianbeef.com including your company information, company logo, and any website or social media links associated with your company and we will consider recognizing you as an official sponsor.